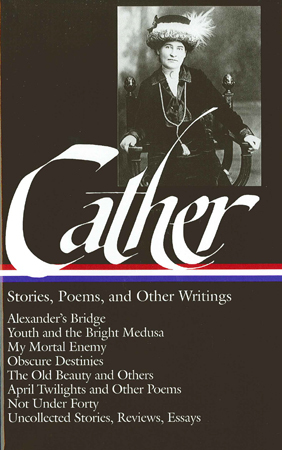 Contains: Youth and the Bright Medusa with "Coming Aphrodite," "The Diamond Mine," "A Gold Slipper," "Scandal," "Paul's Case," "A Wagner Matinee," "The Sculptor's Funeral," and "A Death in the Desert;" Obscure Destinies with "Neighbour Rosicky," "Old Mrs. Harris," and "Two Friends;" The Old Beauty and Others with "The Old Beauty," "The Best Years," and "Before Breakfast;" Alexander's Bridge, My Mortal Enemy, occasional pieces, critical essays, and April Twilights and Other Poems. "A treasury of riches, containing much that has been difficult to find." Sharon O'Brien, volume editor, is a James Hope Caldwell Professor of American Cultures and Professor of English at Dickinson College.